Lake Maracaibo, a tidal bay in Venezuela and an inlet of the Caribbean Sea, is famously known as the world capital of Lightning. It is named as such because it is estimated that at least 260 storms hit this place a year and the lightning storms can go up to 10 hours a day. For a lightning to strike there has to be a positive and negative charge present and when they grow big enough the lightning will strike. 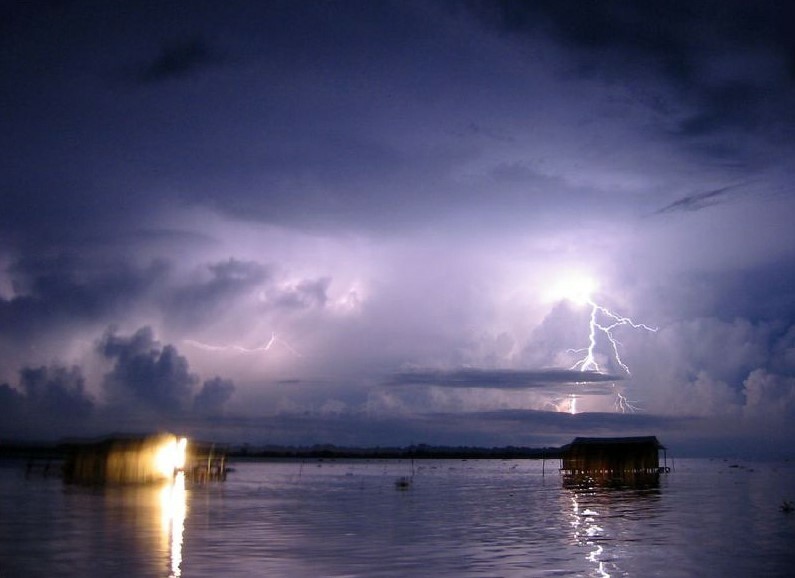 have come up with a few theories why Catatumbo has so many lightning storms. There are oil fields beneath the lake and so some scientist attribute this rare phenomenon to the Methane gas that leaks out and causes the unstable charges in the air. 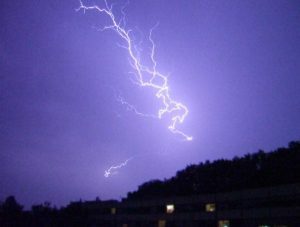 Others came to the conclusion that there is a correlation between the lightning storms and the humidity. They seem to believe that when there was a drought in the region around 2010 the lightning storms disappeared until the rains came back. The most supported theory that takes into account natural formation of lightning and its causes is the fact that there are mountains surrounding this region particularly the Andes mountain. The mountains are reported to trap hot air and when this hot air meets up with colder air, that hot air is forced down the mountains and this forms huge clouds. It is in these thunderclouds that lightning is formed and later strikes the earth with such intensity.